Wolf Commercial Real Estate, a premier Blue Bell commercial real estate brokerage firm that specializes in Blue Bell commercial real estate listings and services, is now representing prime Blue Bell office space for lease at 930 Harvest Drive Blue Bell PA. This Blue Bell office building for lease offers between 2,000 and 24,742 sf of professional office space in Blue Bell. 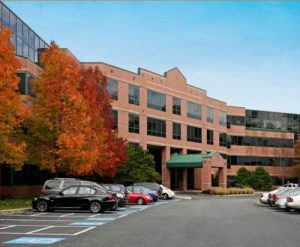 This Blue Bell office building for lease at 930 Harvest Drive Blue Bell PA has 4,024 sf of space on the first floor and 5,808 sf on the third floor. There’s also 13,783 sf available on the fourth floor of this Blue Bell professional office building for lease. This Blue Bell professional office building for lease is available for immediate occupancy by contacting Wolf Commercial Real Estate, a Blue Bell commercial real estate broker with expertise in Blue Bell commercial real estate listings and services. Please contact the experienced professionals at Wolf Commercial Real Estate for leasing prices and information about this professional office space in Blue Bell at 930 Harvest Drive Blue Bell PA. This Blue Bell professional office space for lease is near hotels, health clubs, over 34 restaurants, banks, and retail outlets. There is abundant parking at this Blue Bell professional office building for lease with a ratio of 4/1,000 sf and additional parking available on an adjacent lot. This Blue Bell office space for lease features a back-up generator and Wi-Fi service that is available throughout the building. This Blue Bell professional office space for lease is available through Wolf Commercial Real Estate, a Blue Bell commercial real estate brokerage firm with expertise in Blue Bell commercial real estate listings and services. Staffed with responsive, on-site ownership and management, this Blue Bell professional office space for lease features a seamless, no-hassle tenant build-out process. There are newly renovated restrooms and common areas as well as a lobby directory at this Blue Bell office building for lease for lease at 930 Harvest Drive Blue Bell PA. There is a building engineer and a full-time, on-site daytime porter at this Blue Bell office space for lease and a newly renovated café and a 24/7 vending area at this professional office space in Blue Bell. For more information about this professional office space in Blue Bell at 930 Harvest Drive Blue Bell PA, or about any other Blue Bell commercial properties for sale or lease, please contact Andrew Maristch, III (215-799-6141; drew.maristch@wolfcre.com), Anthony V. Mannino, Esq. (215-799-6140; anthony.mannino@wolfcre.com), or Jason Wolf (215-799-6900; jason.wolf@wolfcre.com) at Wolf Commercial Real Estate, a Blue Bell commercial real estate broker.